On Tuesday, the Reivers and the Highlanders played each other in a second match at Nunholm this time in the North Sea Pro Series 50 over competition. The Reivers were asked to bat first and with English and De Lange had achieved a solid start as they neared 90 for 1. However wickets fell to the Highlanders spinners, Watt and Leask to help reduce them to 115 for 6. That brought Scotland player Haq out to join Dumfries’s Scott Beveridge. Together they mounted a recovery for the Reivers. In particular Beveridge batted well for his fifty and to end on 62 not out along with a very rapid 32 not out from Smith. However the final total of 239 for 7 seemed not enough to challenge the Highlanders batting line-up and so it proved. Munsey got 44 opening and Parker finished on 57 not out. Leask again got runs and the Reivers were left to regret dropping an early change from him on the boundary. 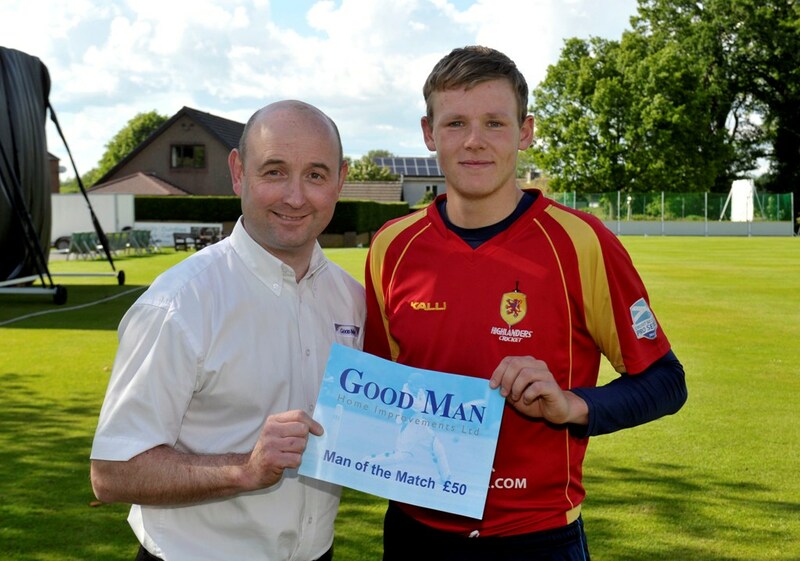 His performances with two wickets and a score of 64 won him the Good Man Home Improvements Man of the Match which was presented by the company’s Martin West. 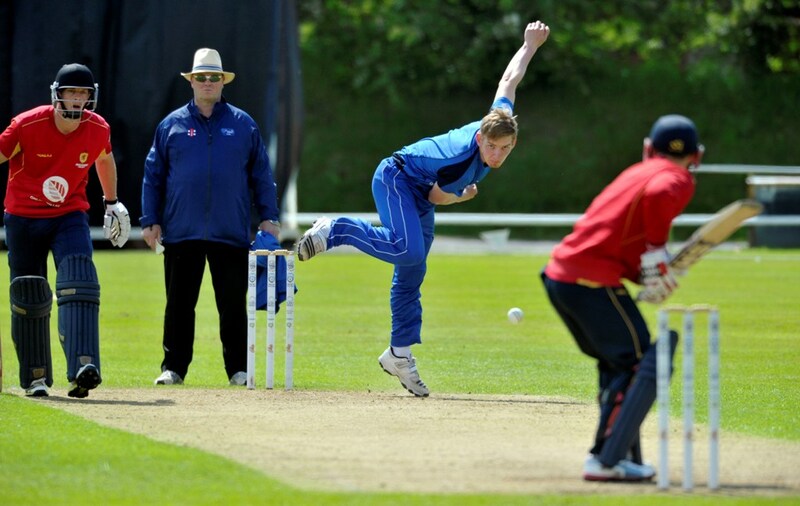 Eighteen year old Dumfries player Niall Alexander bowled well for his one wicket and Beveridge dismissed the Scotland Captain Mommsen for 35 and had Leask caught but lost out to him for the Man of the Match award.